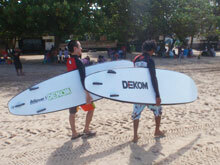 Bali Dekom Surf's Surfing School offers choices of the course by day and level. It is good lessons for who want to skill up. If you are not confidence to go to ocean alone and want to skill up, you try this course. They offer qualified lesson! Qualified service by Japanese staff! Reception is in a hotel. Air conditioning, comfortable! Many instructors from famous surf school. Speak English! 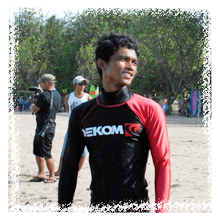 World famous surfers & tourists are there, lesson at Kuta Beach! The point is only 20-30m far from beach! One to one lecture by instructor. Full time lesson from morning to evening! School menus are 1 - 3 days . There are 2 levels of Beginners course or Intermediate course . There are 3 types of lesson, Total Private (1 student, 1 instructor), Semi Private (2 students, 1 instructor) and Group (3 students, 1 instructor), so please choose by your level and plan. I explain differences between beginners course and intermediate course!! 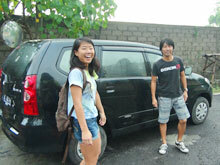 At first, beginners course is for who try surfing first time. If you already have experienced surfing but you cannot take-off (stand up on the board) or you don't have confident to take-off and learn basic skills of surfing, you may choose beginners course! Next, intermediate course is for who are not beginner but still want to level up. It is suitable for who can paddle to get out, can dolphin through, can take-off smoothly, and can surfing in chest size wave! Our instructor will paddle out with students and they will give some riding advice and pushing you to catch wave if they need it. Please choose the good course for your level! 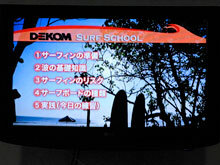 In DEKOM Surf, some of them have had taught at famous top surf schools. During lesson, they are concentrate on teaching students. They also can speak easy English for lesson. There are total 7 instructors. Go to sightseeing by Car Charter! - After 2nd day, schedule doesn't include *1 and *2. - In case of applying more than 4 days course for intermediate level surfer, Surfing Guide is recommended. Please contact us about beginners course. - Half Day Course is half day of the schedule above (2 rounds). - *3 After finishing Morning Lesson, usually take a lunch break, however, sometimes Afternoon Lesson starts after 30 min. break depend on the tide condition. - *3 For lunch break, please pay for meal by yourself. You can go to your favorite restaurant in Kuta. Which is the good season for surfing, dry season or wet season? We recommend dry season (April to November). It is not rain and wind tend to be weak, so it is easier to surf. How much experience do I need for short board surfing? You need stable skills of paddling and take-off for short board surfing. It is better to challenge little by little, you try shorter board. If you use a short board before enough experience, you cannot take-off and cannot enjoy surfing. Don't lash. What kind of land training is recommended? You should practice standing pose to reflect to a mirror. Good stance and style helps quick skill up. It is also necessary to train take-off. In addition, you build up your muscle for paddling and take-off riding. You may try exercise in daily. Please check other information in Surfing Q & A page. * The maximum 6 people can be fit in one car. * Dropping-off at other places is available (Jimbaran/Kuta/Seminyak area only). 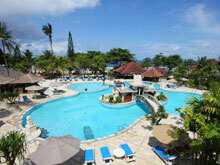 *For accompany who is not surfing will charge Rp.75,000/person for both way and Rp.40,000/person for one way. 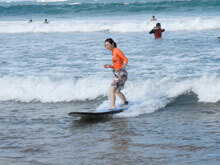 Plentiful practice with 3 days surfing lesson package. I thought I had already got improved my surfing skill in the evening of the first day. I want to improve my surf skill like a surfing instructor! It was the first time for me surfing, and I could not stand up on the board even once. It was very hard for me pose on the beach. I thought that it was impossible for me to be able to surf, but when I got into the water and tried to do like the teacher istructed!! I could stand up on the board at the third times!! I thought it was good that the instructions was in Japanese. I’d like to surf again. 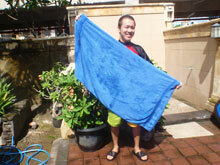 I had never been surfing before, I wanted to do a new thing in Bali and I challenged to surf! 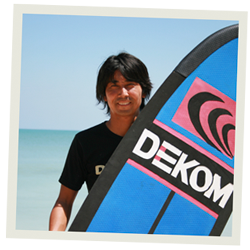 I think I’m scared to get into the sea if I couldn’t understand the instruction well, so I decided to join Dekom Surf managed by Japanese. All staffs speak good Japanese and well-trained. I was not confident because I’m not athletic, however I could stand up on the board well.